There are few things in life that are more comforting and reassuring than having pure, natural water delivered directly to your doorstep whenever you need it. With that in mind, one of the biggest companies in the world has expanded its services to include water delivery. 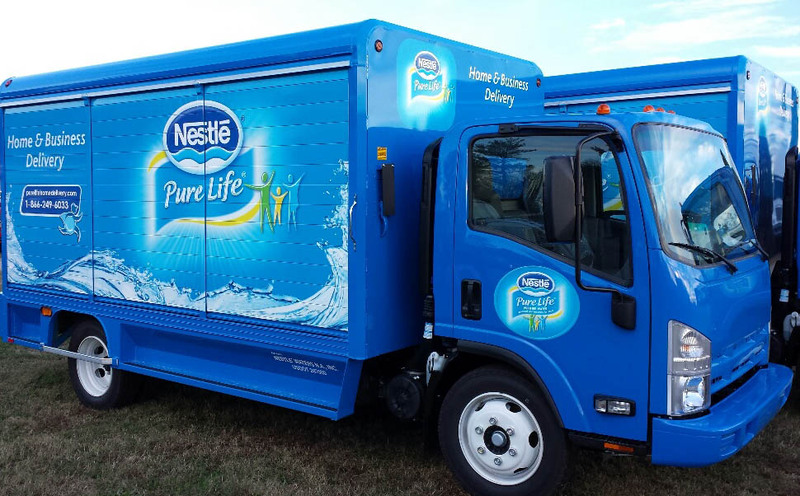 Whether you need one of their own bottled water products (Nestlé Pure Life, Nestlé Splash) or a product provided by one of their partnered brands, Nestle Water Delivery can provide it promptly and satisfactorily. In order to help you learn more about this fantastic service, this guide will provide information regarding the areas, hours and fees of Nestle Water Delivery. Having been around since 1866, Nestlé is a company with a great deal of history. Having started in Switzerland as a chocolate manufacturer, Nestlé went through various different phases as a company through the merging with and acquiring of many other pre-existing companies. However, it wasn’t until the latter half of the twentieth century that Nestlé rose to prominence as one of the biggest and most important companies in the world. Today, Nestlé is not only one of the most recognizable companies in existence but also the biggest food-related company in the world. Considering its position, it was only logical that Nestlé should get involved in the water business. This move came about as the creation of Nestlé Pure Life, a bottled water brand that is mainly sold in Canada and the United States. Later, a new brand by the name of Splash was created under the Nestlé umbrella. This brand offers fruit-flavored bottled water. It is also worth mentioning that Nestlé manufactures and sells bottled water under other brand names in various different countries worldwide. Taking into account the success of its foray into the water business, Nestlé decided to establish a complementary water delivery service in 2009. In order to do so, the company created ReadyRefresh, a specialized delivery service that allows customers to select and place their orders online. Offering expanded delivery hours, flexible frequency options and full-time communication, the service aims at providing maximum convenience to its clients. In addition to these advantages, through ReadyRefresh, Nestle Water Delivery has created an easy way for customers to make their choices and place their orders. One of the most outstanding aspects of Nestle Water Delivery is the ease of its system. Using a simple and straightforward web menu, clients can select their favorite water brand, the amount they need and the frequency with which it will be delivered to them. After registering, customers can build their order by choosing from a variety of beverages, dispensers and accessories. Immediately after, they are required to choose the frequency with which they would like their order to arrive. Once those two steps have been completed, customers only have to wait for their order to arrive at their home or office. As previously mentioned, Nestle Water Delivery can be scheduled to take place at the time that is more convenient for each customer. However, it should be noted that this time needs to be scheduled during weekdays from 7:00 AM to 8:00 PM. For most customers, Nestle Water Delivery has a fee of $3.95 per delivery. However, customers in Manhattan (NYC) have a slightly higher fee of $5.95 per delivery. At the same time, customers in Philadelphia and San Francisco need to pay $4.95 per delivery. You should also note that one-time delivery customers have to pay a fixed fee of $6.95 per delivery. Finally, the fee for a rush order the customer wants within 24 hours is $9.95. • Via email: Customers can choose to receive order confirmations, a delivery reminder and delivery confirmations. • Via text: Delivery reminders and post-delivery alerts. Do Customers Need to be At Home During Deliveries? In order to make its service as efficient as possible, ReadyRefresh does not require customers to be at home during deliveries. The only exception for this is when you schedule the staff to set up or pick up a water dispenser. Having gone through the most important aspects of Nestle Water Delivery, it’s easy to see why it has risen to prominence during the last decade. Have you tried these services in the past? If so, please let us know your opinions in the comment section! Hey Buddy!, I found this information for you: "Nestle Water Delivery 101: Areas, Hours, Fees". Here is the website link: https://all2door.com/nestle-water-delivery/. Thank you.